In this industry, we get to work with the biggest names in entertainment who are also gearheads like us. Most of the time, they’re just customers who like BendPak so much, they agree to say a word or two on our behalf. 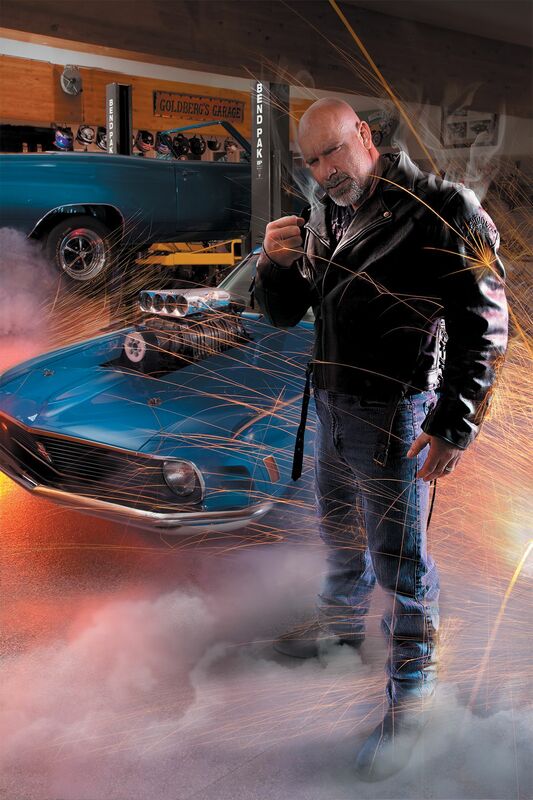 But in cases of the extreme automotive fan, we’re lucky enough to feature them in their very own BendPak ad. 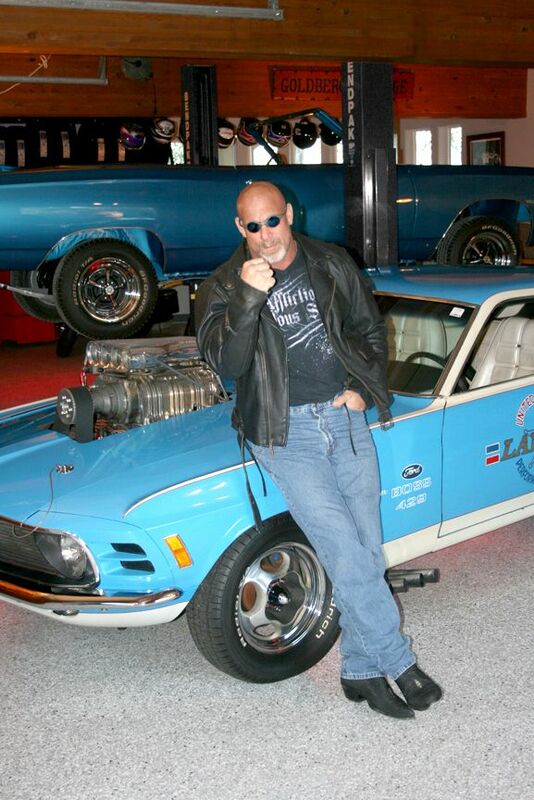 We went south to Bill Goldberg’s impressive garage and automotive collection. We saw at least 12 bays on Mr. Goldberg’s property, and six of them contained a BendPak car lift. He’s got two BendPak 2-post lifts, one BendPak 4-post lift and three general purpose single-post parking lifts. That’s right, he’s got six of BendPak’s finest all at home. We like to have each ad be 100% unique to the personality, and Bill is a true connoisseur. So what better way to make sure it’s going to howl, “Goldberg,” than to take the photos in the host’s very own Garage Mahal. Check out Bill’s one-of-a-kind 1970 Mustang Boss 429 "Lawman." Actually, it was one of two such automobiles that were sent to Vietnam to give the troops a taste of awesome Americana-Automobilia while they were so far from home. One of the two was crushed at sea by a shipping container. We’d hate to be the guy who had to explain that one. Bill’s a huge supporter of United States soldiers and veterans, so it makes a lot of sense that he’d have a special affinity for this rare vehicle. In the background, you can also peak out a ‘68 Plymouth GTX convertible. This is the car that started a lifelong car obsession in Bill. 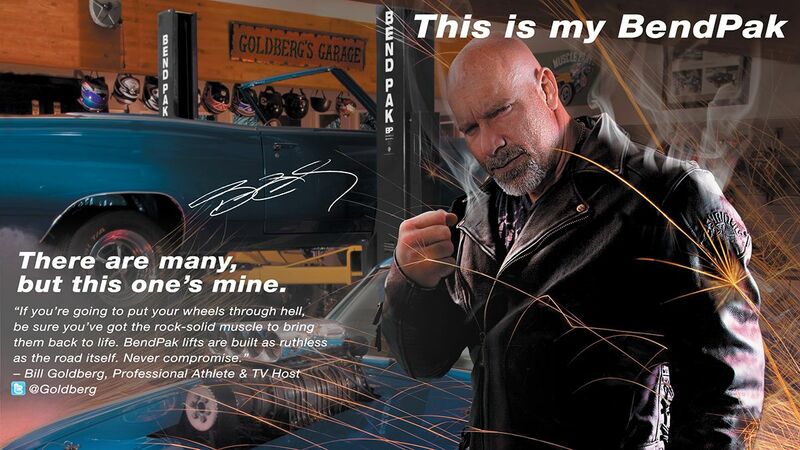 Make sure to follow @goldberg and @BendPak on Twitter!